Police are asking the public for their views on a proposed new base for Morpeth officers. Plans are being considered to re-locate officers from their current station in Castle Square, just outside the town centre, to a more accessible, central location. Office space is available in a first floor unit at Sanderson Arcade and the force is currently considering moving the Morpeth Neighbourhood Policing Team into the busy retail and business centre. The entrance to the office in Austin House is adjacent to the Central Bean coffee shop, and is accessible via a lift and stairs. The current police office is open to the public Monday to Friday, from 9am to 5pm, and these opening hours will remain in the future. The proposal would allow police officers and staff to relocate from outdated and expensive-to-run premises and provide police services from a new community base, which offers better value for money. 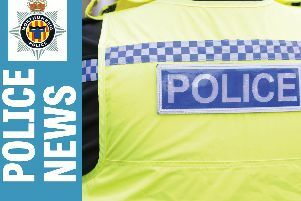 Police want to find out what local people think about the proposal and residents will be invited to view the plans on public information displays in the reception area of Morpeth Town Hall and in the rear check-out area of Morrisons Supermarket in Dark Lane. They will be available from Friday until February 20. Residents are invited to look at the proposal and give any feedback by completing a comments card and putting it in the post box at either location. Northumbria Police and Crime Commissioner Vera Baird said: “I’d encourage residents to go along and find out what we are proposing for policing in Morpeth. Neighbourhood Inspector Steve Baker said: “We’re asking residents to let us know their views. We want our neighbourhood policing team to be easily accessible to local people so they can call in to speak to officers, report a crime or ask for crime prevention advice. “We’ve looked at a number of other premises in Morpeth and believe this proposal gives us suitable office space in a town centre location.